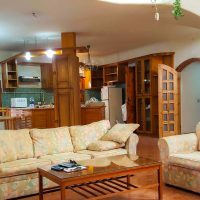 For Rent 4 Bedroom Villa 430m in Sharm El Sheikh Not Rented before. From Owner. 1 Open Kitchen fully equipped with custom made oak cabinets and an access to a laundry room fully equipped. Open Space Design. 2 Balconies. This Ad has been viewed 117 times and got 2 replies.